This year I have done surprisingly well when it has come to picking up coats. In my last fashion post (here) you saw that I got a fab grey coat from boohoo.com. My grey coat is the first coat I pick up on my way out the door, it really goes with everything. I saw this leopard print blazer coat €59.95 in Zara and fell in love straight away. It may not be for some but you really cannot walk past a coat like this one. The coat has a tailored fit so it complements my figure. Leopard Print can be an interesting pattern to style as each print looks different. Some tones of leopard print can be stronger than others and can take a lot more work to style than others. 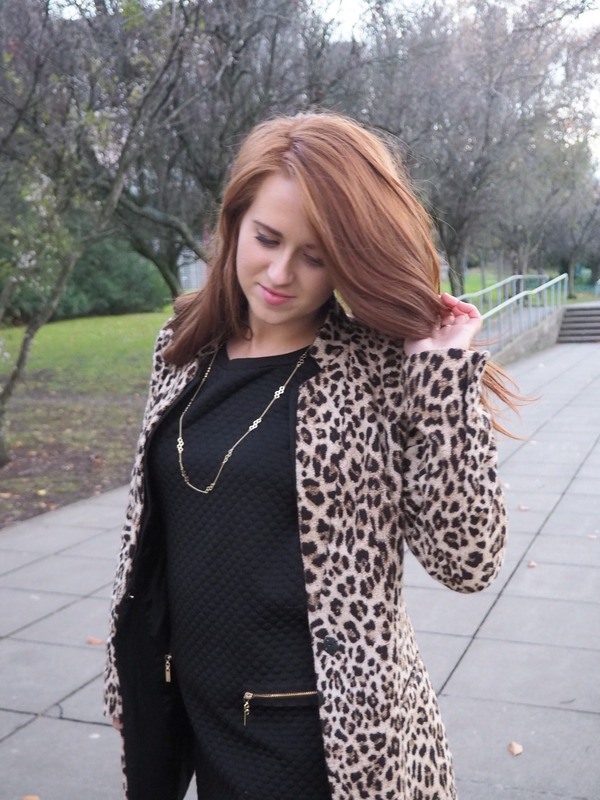 Leopard print is one of my favourite patterns to style and I love to accessorize with it too. Fashion is all about experimentation and being creative. 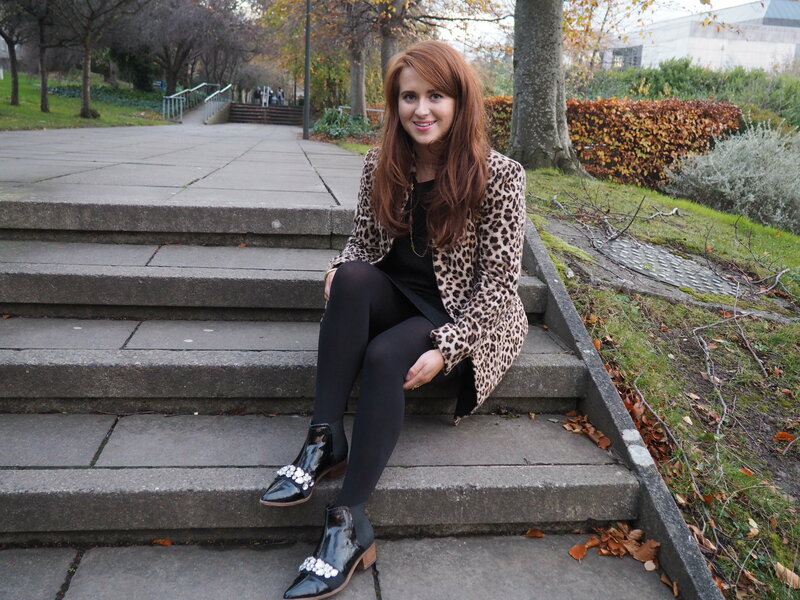 If you are a regular to my blog you will know I adore the boots that I am wearing from ASOS. Guess what…they have them back in stock!!! Considering getting another pair for next year as I have worn these to death! My favourite buy of 2016. You can get these ASOS boots here. Posted in FashionTagged How to style leopard print, Leopard Print, Leopard Print Coat, Zara Coat, Zara Leopard Print CoatBookmark the permalink.